Andre Lam take to the tracks in Valencia to find out how the new model hits all the right buttons. I am at the Circuit Ricardo Tormo in Valencia, Spain at the invitation of Lamborghini to test-drive its new Aventador S. The motorsport racetrack is wet from an early morning downpour. My fellow invitees and I will be doing our rounds in groups of four cars each time, led by a Lamborghini driving instructor in a 750hp Aventador Superveloce. In comparison, the Aventador S may have lesser horsepower—740hp to be exact—from its naturally aspirated V12 engine, but it is no slouch. As we put the supercars into action on the tarmac, the wind from the speed and heat from our tyres help to dry up the track. It is fortunate that we get to experience the car in this condition as it reinforces its all-wheel drive capabilities and superb electronic stability controls, enabling us to push the car to its limits on the wet surface without careening into the crash barriers. As the track dries up even more, I find the Aventador S keeping up with the Aventador Superveloce at most corners and straight roads as both boast an incredible top speed of 350km/h and can cross the 100km/h mark in under 3sec. More importantly, it’s because part of its new handling capability comes from a new feature called the Lamborghini rear-wheel steering system (LRS). Other marques, including Porsche and BMW, are also increasingly using a similar system to great results. At low speeds, the LRS steers the rear wheels slightly in the opposite direction of the front wheels, so the Aventador is able to go at corners better. When parking, the LRS reduces the car’s turning circle by an entire metre, making the task even more manageable. The system also gives the new car greater agility than the original Aventador, which was brought to the track for us to compare. The difference between the two is also palpable as I notice how the new Aventador S scythes effortlessly between the pylon markers and has a wider range of neutral handling. Lamborghini claims that the LRS is able to cut about a second off each minute of lap time. At speeds above 80km/h, the rear wheels steer minutely in the same direction as the front wheels to give greater response and stability without needing the use of firmer springs or quasi-race tyres as seen on the Superveloce. Last year, Lamborghini hired a new chief designer, Mitja Borkert, who was previously with Porsche. He replaces Filippo Perini and his first job was to transform the Aventador S into an even greater car than it already is. The result: a more menacing-looking Aventador S with a new visage that resembles a viper ready to strike. More angular air intakes sculpted deeper into the bodywork and doors also give the car’s waistline more definition, while its rear‑wheel arches pay homage to the classic Lamborghini Countach. Finally, at the rear we find a new cluster of exhaust pipes and below that, a new rear diffuser that generates even more downforce. Now with three positions, the active rear spoiler can adjust aerodynamics for lower drag or higher downforce, or both. Technology-wise, Lamborghini has stayed more purist than most. It avoids moving on to turbocharging, but still manages to give its V12 engine a 40hp hike in power compared to the previous Aventador. The Aventador S is made entirely from carbon fibre in a monocoque design that was jointly developed with technology partner, Boeing. It keeps its ISR (Independent Shift Rail) gearbox‑automated seven-speed transmission that can handle over 700hp, while weighing nearly 50kg lighter than an equivalent double-clutch transmission. Although it cannot replicate the silky-smooth shift of traditional automatic transmissions at slow speeds, it boasts lightning-fast shift times in mitigation. The two components that bring the greatest improvement are the aforementioned LRS and the Lamborghini magneto‑rheological suspension (LMS), which was fitted to the Superveloce. Working synergistically, these two systems give the car greater agility, sharper response, increased stability, more neutral handling and better comfort. 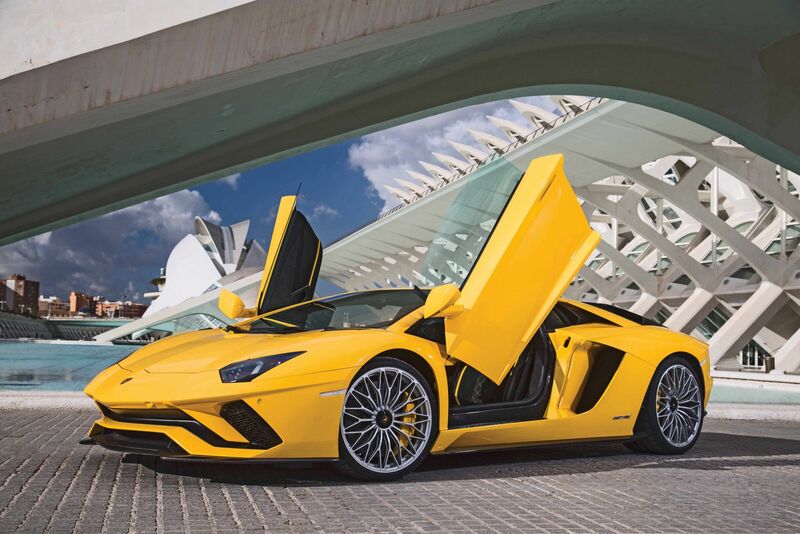 The new Aventador S proves to be a significant upgrade from the original Aventador. Its technical development brings handling and performance much closer to the Superveloce without compromising on refinement and comfort. It delivers a scintillating performance, although to expect an impeccable drive in town might be asking a bit much. Then again, who buys a Lamborghini to go slow? It might not be the most ideal town car, but it sure is a thrilling one.